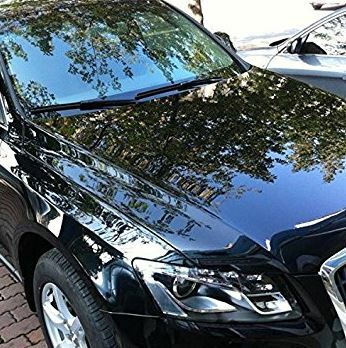 This is a protective technique that involves the application of an additional coating to a vehicle's exterior which aids making it appear new with comparatively low maintenance cost. Ceramic coating makes vehicles more resilient as well as easier to clean. A ceramic coating is usually an inorganic nonmetallic protective layer applied on metal to protect against high temperatures thus preserving the integrity of metal surfaces. This liquid polymer is applied to a car's exterior by hand. There is a valid objection when it comes to pricing of ceramic coating services due to the costs which can range from an estimated 600 dollars to 2000 dollars. There are several factors that determine ceramic coat pricing including the size of the vehicle, the condition of the vehicle, the color of the vehicle, the brand of the coating to be applied just to mention a few. Consumer grade coating is relatively cheaper than professional grade coating. In my opinion, professional grade coating is better and more economical in the long run. A professional coating is essentially permanent as it can only be removed in the event of an abrasion by a sharp object. Ceramic coating is gaining popularity these days no doubt. In as much as the protection, they offer is unapparelled there are existential disadvantages. Customer reviews have emerged all over with the most hype being on the internet. However, there are stereotypes to a ceramic coating. With all their benefits I do not believe that they are entirely 100% perfect. The coating does not entirely make a car scratch proof nor do they offer more gloss than waxes as the gloss does not come from the coat itself. If a car's paint is well polished and free of defect then it would appear glossy, coat notwithstanding. Ceramic coatings require occasional maintenance to optimize their lifespan and durability. They weaken gradually though mildly due to exposure to elements. The best upkeep practices to maintain the integrity of these coatings is by a regular car wash, coat reconditioning, using soap that is neutral in pH as well as not using abrasive towels on the exterior of the car. Waxing offers minimal protection that lasts only for a few months and then wears off. They are comparatively cheaper than a ceramic coating. Waxes are not as protective and require more frequent installations and require more cleaning effort. Wax does not bind fully to car paint and thus the regular reconditioning and as such coating is recommended after waxing as it is also cheaper in the long run. Ceramic coating near me is a feature on the internet that allows finding the nearest auto detailing studios in my neighborhood. In Elkhart Indiana, there are several detailing shops from; Ziebart, Elkhart Auto Detailing, Wakarusa Auto Detailing, Magic Touch Auto Detailing just to name a few that have a reputation for quality work and their profiles are easily accessible on the internet.